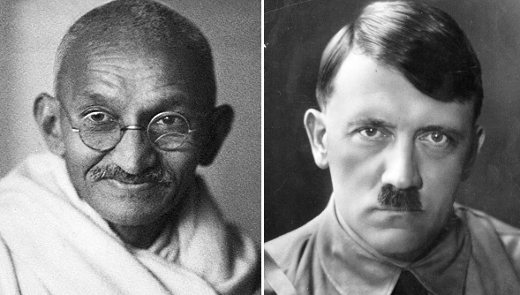 On July 23rd of 1939, as tensions mounted in Europe following Germany’s occupation of Czechoslovakia, Mohandas Gandhi, the famously non-violent leader of the Indian independence movement, wrote a letter to the man who was orchestrating what would become World War II: the leader of Nazi Germany, Adolf Hitler. As it happens, Gandhi’s letter—a clear and concise plea for Hitler to avoid war “for the sake of humanity”—never reached its intended recipient due to an intervention by the British government. Just over a month later, the world looked on in horror as Germany invaded Poland, thus beginning the largest, most deadly conflict in the history of the world.